Actors Lee Byung-hun and Lee Min-jung's recent whereabouts have been revealed. Recently, Mexican actor Manuel Garcia Rulfo posted a picture on his Instagram. 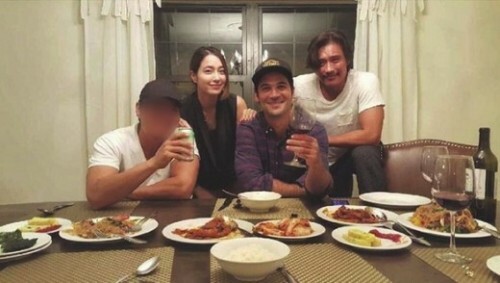 The picture shows Mauel enjoying a Korean feast with couple Lee Byung-hun and Lee Min-jung. They all look happy as they smile into the camera. Meanwhile, Lee Byung-hun is currently filming the movie "The Magnificent Seven" directed by Anton Fuqua.